When it comes to supercharging your online presence and increasing engagement, content is king. Creating content for your social intranet is a great way to increase take up, usage, and interaction. Content is not just about writing plain text blog posts. It includes creating and branding images and video for use across your social intranet. As the use and value of social intranet software continues to grow, you may find it necessary to invest in dedicated content creation tools as part of your content marketing strategy. Here are 3 simple ways to tell that it’s time to invest in intranet content tools? With increased usage of social intranet software, users may want to extend the capabilities and try sending a variety of content. This is especially the case with images and video. Your employees want the ability not only to text, but also to share images, infographics, and videos that make for a richer and a more enjoyable experience. You can tell that your users are asking for variety when they attempt to send and post content not supported or barely supported on your social intranet. They may attempt to create and send infographics in order to explain a process. They may request a video on a particular training or show interest in multimedia content when mentioned. 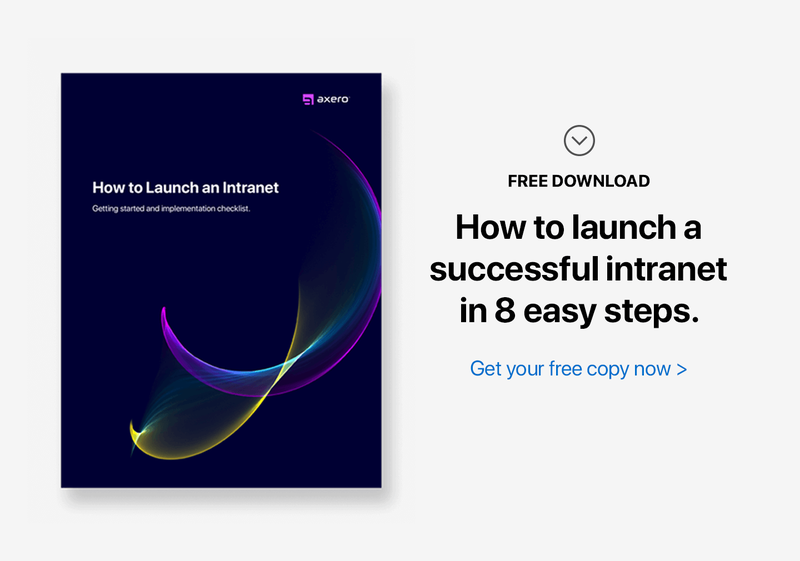 By investing in such intranet content tools, you stand a better chance of increasing engagement and getting a high social capital for your network. Content creation tools can actually save your business time and money. Instead of hiring outside professionals to create blog posts, articles, and wikis for your social intranet, give your employees the right tools to generate the content themselves. You'll also save the time and effort it would take to engage in content collaboration with someone outside your company ... who does not have the experience in your field of expertise. Instead, keep it inside the company. Creating a variety of content is not cheap, both for you and your employees. You need to invest time when creating even a simple blog post or article. However, when you make it easier for your team to do this with intranet content tools, you can greatly enhance the value and appeal of your network, and make it the go-to resource for their communication needs. Intranet content creation tools are not just for generating blog content and employee-facing resources. These tools can prove invaluable to your intranet content strategy when you need to communicate with customers and partners. Rather than rely on plain text to explain a process, develop a graphically oriented landing page, form, email, and general content to reach a specific group of users. Incorporating a variety of content can also help to centralize a lot of previously dispersed communication. While email, phone, and chat are effective communication methods in their own respect, they are all distinct. Any messages or content sent via email will not be accessible via phone or chat. Though serving the same purpose, these pieces of information are not as powerful on their own. Intranet content tools bring together a range of previously distinct communication modes and enhance the value of content. No longer will teams need to use chat for video or email for infographics, while leaving the intranet for plain text messages. All of these can be aggregated to strengthen communication with teams. Aggregated content can be put to good use in data collection. When you have a variety of content, it is easy to create tests that assess network performance with an eye to improvement. This data can also be analyzed and used to enhance other parts of the network or company to improve the quality and effectiveness of broadcasted messages, memos, trainings, and workshops that are conducted by the company. Intranet content creation tools enable people to take advantage of the network ... and they also offer opportunities to increase traction and the social capital of your network. Investing in these tools ensures that your intranet keeps your business continuously growing.